Another day, another exciting Star Wars panel at San Diego Comic Con! 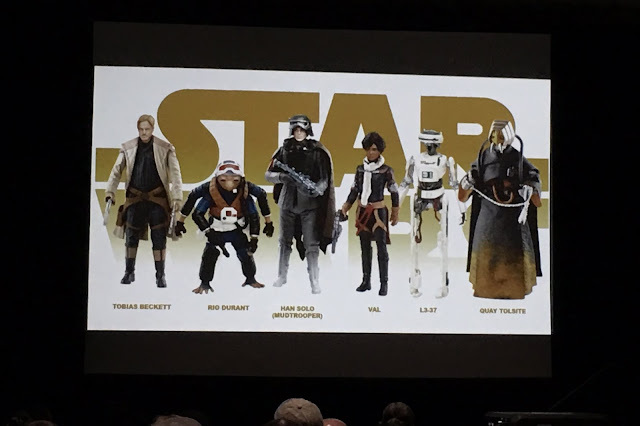 Today we actually have two big panels happening, the first being the Hasbro Star Wars panel, in which a plethora of new collectibles were just revealed. Our very own Dominic Jones was in attendance and live-tweeted the panel detailing everything that was announced. About to live tweet the #Hasbro #StarWars panel from #SDCC, beginning momentarily! Next up is the Star Wars publishing panel! Stay tuned for coverage of that and everything else Star Wars at SDCC! Make sure to follow @TheSWU on Twitter and Instagram throughout the week for updates on all the Star Wars events taking place during San Diego Comic Con!